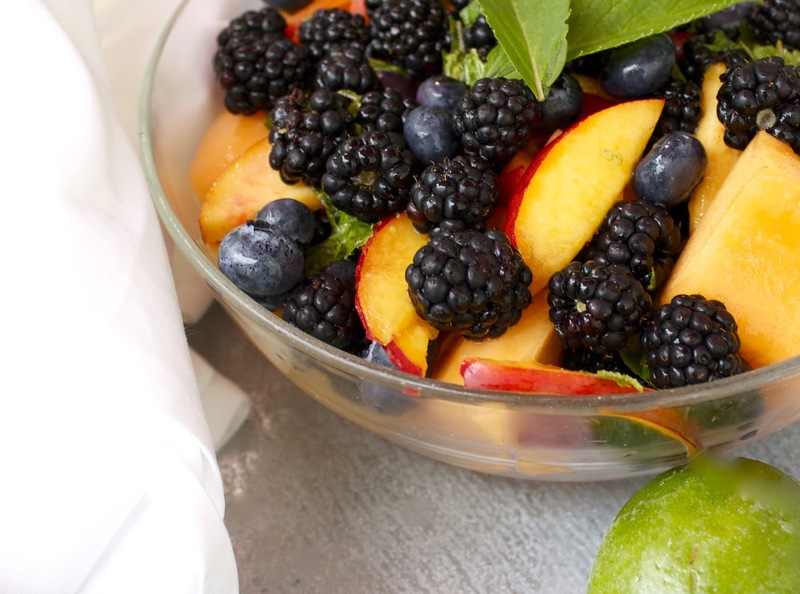 Having a surplus of beautiful summer fruit in the house and a garden full of mint, I decided to make this salad. Simplicity and sophistication are two ingredients I am always striving to bring into my cooking. I really adore this fruit salad because I think that it is unique, fresh and bright. It is simple and easy to make but will wow anyone you make it for. The flavor combinations in this are familiar yet intriguing. 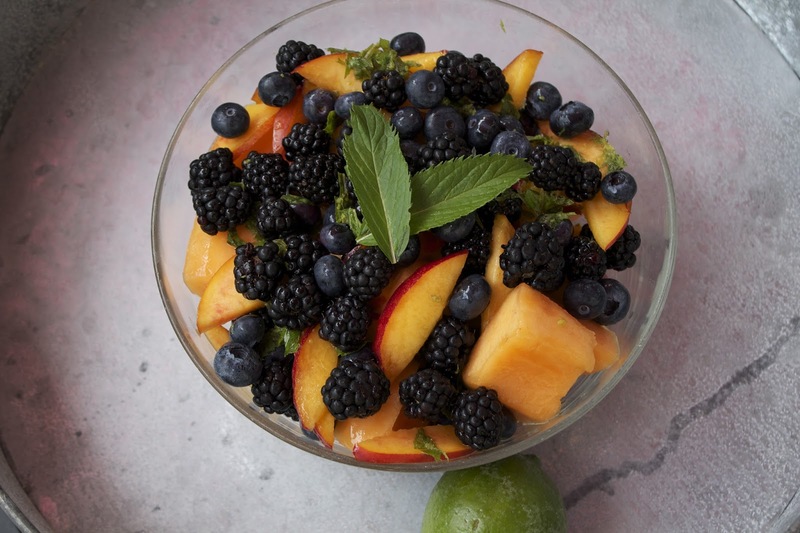 Gently mix the cantaloupe, nectarines, blackberries and blueberries together in a medium sized bowl. Set aside. In a small bowl mix together the lime zest, lime juice and mint together. Pour this over the fresh fruit. Mix everything together. Chill if desired.